Advanced Cellular Therapy is what A.C.T.TM stands for. 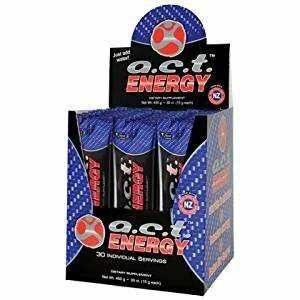 A.C.T.TM Energy On-The-Go drinks balance a proprietary combination of highly-effective, all natural ingredients that work together on the cellular level. The result, a powerful mental and physical boost that you will start to feel working in just minutes and that will last for hours. 1 Box of A.C.T. Original On-The-Go Pouches (30 stick packs). Ingredients: Vitamin A, Vitamin C, Vitamin B3, Vitamin B6, Vitamin B12, Crystalline Fructose, Maltodextrin, Fibersol 2 Maltodextrin, Potassium Citrate, Natural Flavors, Beet Powder, Guarana Seed Extract, Citric Acid, Stevia, Cassis Pigment Extract (Blackcurrant S.D. ), Green Tea 50% EGCG, L-Arginine, Taurine, L-Tyrosine, Dry Mandarin Juice, Dry Orange Juice, Dry Raspberry Juice, Panax Ginseng Powder Extract. A.C.T. Energy On-The-Go provides you with an advanced, all-natural energy boost that will last for hours in a convenient stick pack. If you have any questions about this product by A.C.T., contact us by completing and submitting the form below. If you are looking for a specif part number, please include it with your message.